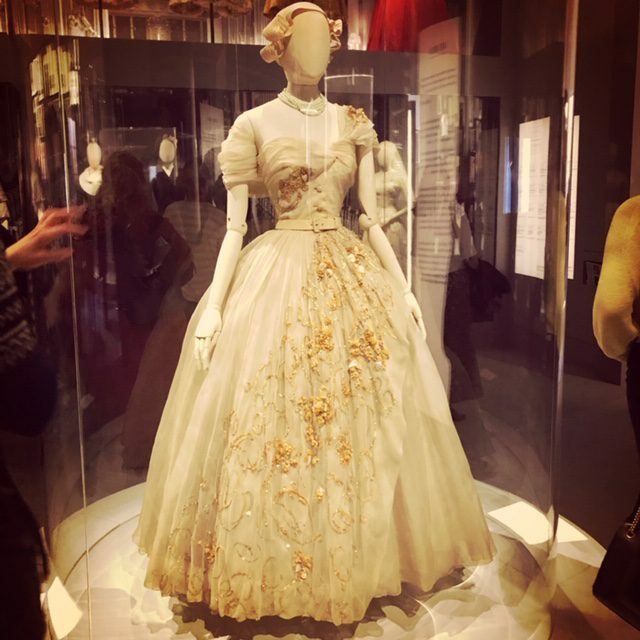 Katrina recently visited the new Christian Dior exhibition at the Victoria and Albert Museum – and realised how inspired by botanical design he was in creating some of his ultimate fantasy gowns. 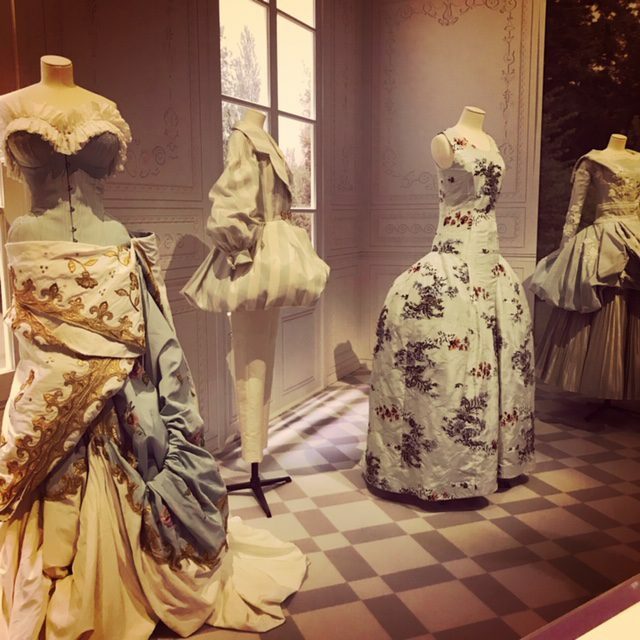 Fashion Designer Christian Dior had many passions, as you can see from his beautiful designs, but one surprising one was gardens, with many botanical designs inspiring some of his best and beautiful work. It was then that I studied his gowns in more detail and broke down the shapes, you can identify petals, the corolla (the tube at the base of the petal), stamens and leaves wrapping round the stem. 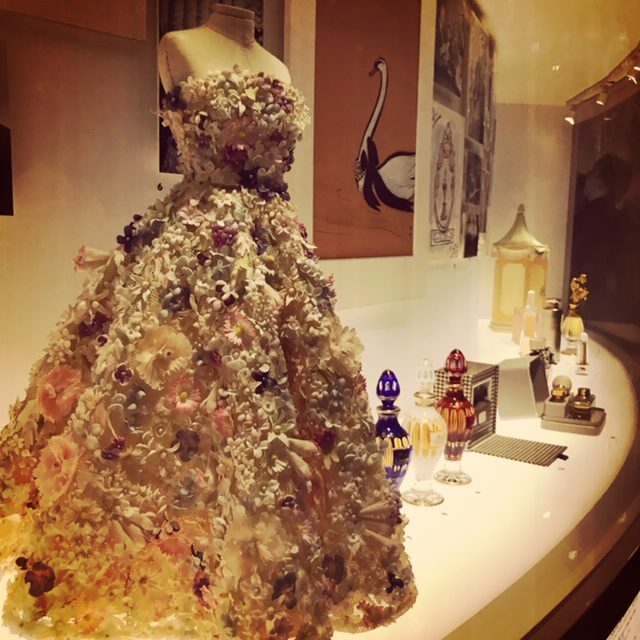 It was a natural progression for Christian Dior, from botanical design to fashion designer. Influenced by his mother Madelyn and her love of gardening, he grew up by the seaside in Granville, Normandy. He was an avid assistant to his mother’s horticultural pursuits and loved the seed catalogues when they arrived. The rose garden at his home, Villa les Rhumbs, became a source of great inspiration for the scents that Dior went on to produce. “My life and style owed almost everything to Les Rhumbs” he said. After winning sudden fame, with his haute couture designs in Paris, he eventually bought Le Moulin du Coudret, about an hour from Paris where he could live peacefully and do what he loved best. He soon cultivated a simple and modest garden reminiscent of Normandy peasant gardens and English gardens which Dior (a confirmed Anglophile) had grown to love. But Montauroux near Cannes was where Dior spent the last six years of his life and found the biggest influences. In restoring the garden there, he planted 150 almond trees and installed a grand ornamental pool in a similar style to the one he installed as a teenager in Normandy. He was drawn to memoire of his youth and as his status grew, he was drawn to nature more and more and botanical designs. The way flowers grew, swept or hovered, was distinctive in his gown designs. 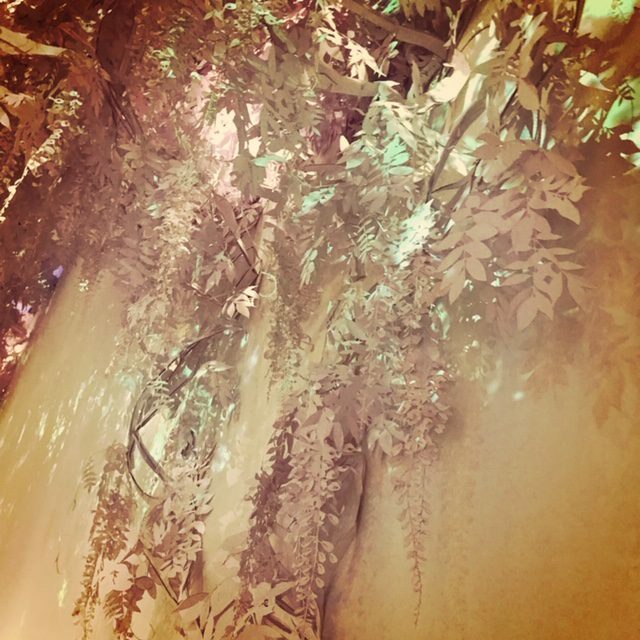 At Christian Dior: Designer of Dreams, floral fabrics fill the space. 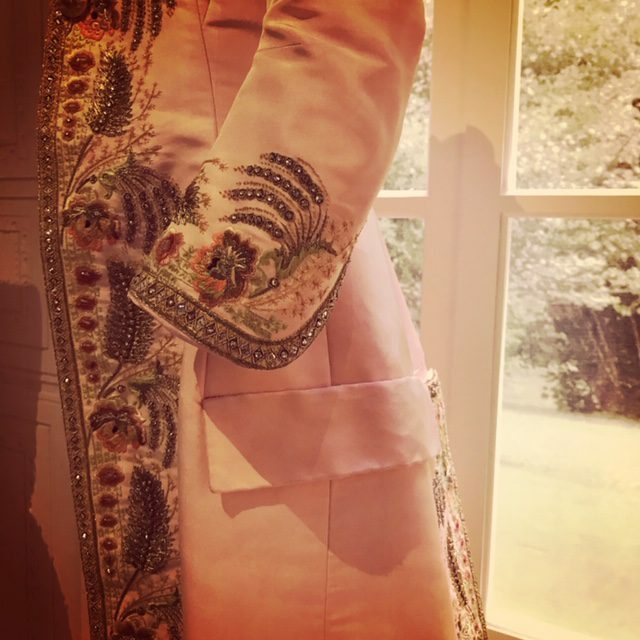 Embroidered details have a botanical root. There is one whole room dedicated to ‘The Garden’. The silhouettes formed by the carved waists, frothy skirts, floral swags, romantic flowing silks, are echoed in many of his collections. He seemed to sketch in his garden pergolas as much as he did in the studio. 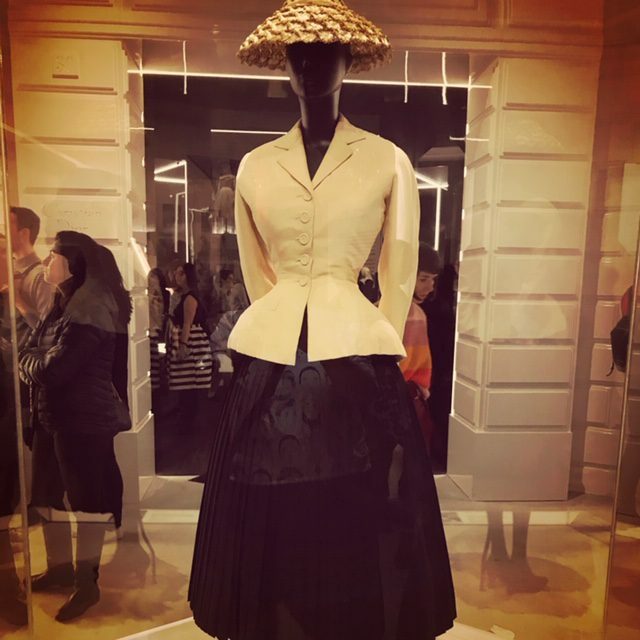 From Princess Margaret’s 21st birthday dress, which Dior designed, to his garden themed room, despite Dior being French, the exhibition has a very British feel. From the ‘Historicism’ room, though to the expansive ‘Ballroom’ at the end of the experience, this is the Victoria and Albert Museum at its best. High gloss, jam packed, and sold out.